It was a very busy weekend for our media talent covering Premier League Football for worldwide broadcaster clients including BBC, Sky Sports and Astro SuperSport. 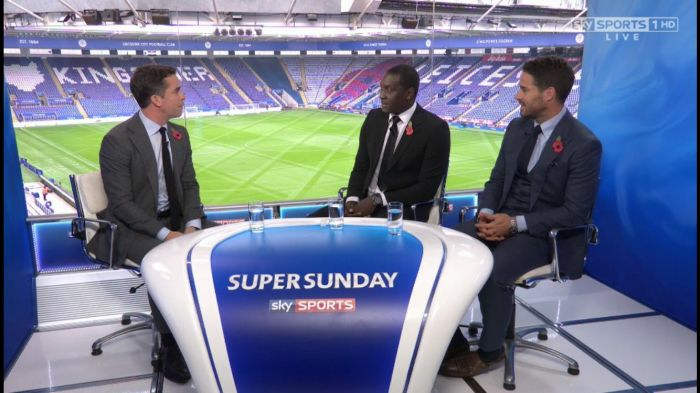 Former England striker Emile Heskey joined Jamie Redknapp at the KP Stadium for Sky Sports Super Sunday covering both the Liverpool and Leicester City games. Gerry Taggart the ex Leicester and Northern Ireland Captain was in the Sky Sports News Studios. Arsenal Legend Ray Parlour was pitchside at the Emirates Stadium for Astro Super Sports live North London Derby and ex England Keeper Chris Kirkland made his BBC Radio 5 debut.